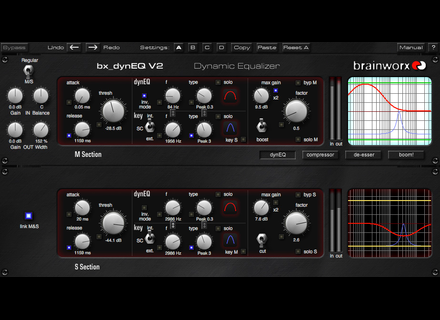 bx_dyneq v2, Software dynamic EQ from Brainworx. 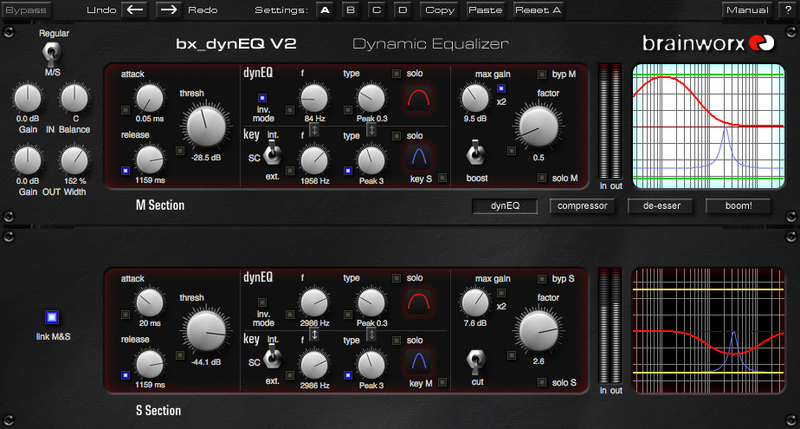 The bx_dyneq v2 is a complete dynamic equalizer and compressor. It doesn't take much time to get used to using it.